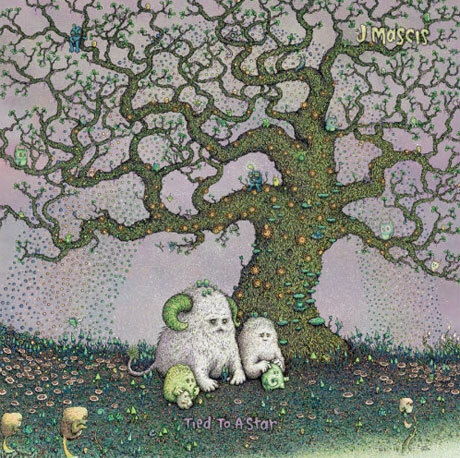 Dinosaur Jr. honcho J Mascis is gearing up to revisit his solo career with Tied to a Star. This morning, he's detailed the album and shared its track "Every Morning." Those expecting a departure from the standard Mascis sound won't really find it here. While the song is driven by acoustic guitars instead of electric guitars, it's still got the singer's timeless, laid-back vocals and plenty of ripping guitar leads. In addition to artwork from frequent Dino Jr. collaborator Marq Spusta, the album also features contributions from Cat Power, Mark Mulcahy, the Black Heart Procession's Pall Jenkins and Ken Maiuri of the [email protected] Chorus. Check out "Every Morning" below, along with the album's tracklisting. Tied to a Star arrives on August 25 via Sub Pop. On top of the album, Mascis has rolled out a U.S. fall tour. You can see all those dates below as well.